Another week has passed… here are some discoveries! New spiders! Two new species of burrowing spiders from Uruguay. A moth that mimics a spiders. Nature is wonderful. Something small. That is all. Congrats to Daniel Llavaneras on finding something very special. Twig tethered to a twig: a caterpillar has Ted a wee bit stumped. Bugshot was down in Belize – some lovely buggy & spidery images are posted here. My students also told me of the hip, cool family of Orthoptera called…. Cooloolidae. Yeah, that’s awesome. Diesel exhaust screws up the ability of honeybees to forage. I’m not surprised by this, but still glad the study was done. Bees hop between green roofs. Why are there no ants north of the treeline? 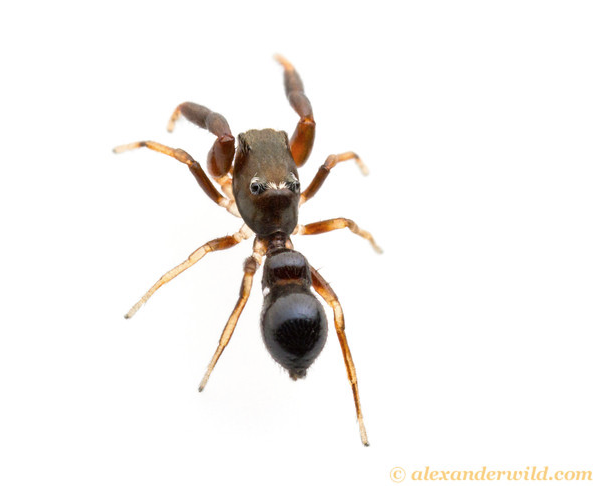 It seems that should have been answered by myrmecologists already…. discussions on twitter suggest this may not be the case…? Or perhaps Francoeur’s ideas are spot-on…? Speaking of Ants – how about thinking of Universities like Ant colonies – a fascinating post by Terry McGlynn over at small pond science. Got the sniffles? Maybe you’ve got a tick… maybe it’s a new species…? Heading the the Entomological Society of Canada’s annual meeting in a couple of weeks? Check out the AWESOME (and free!) workshops. More on insects and art: here is something ridiculously interesting – bee and beetle models. Centipede venom might be a pretty good painkiller! 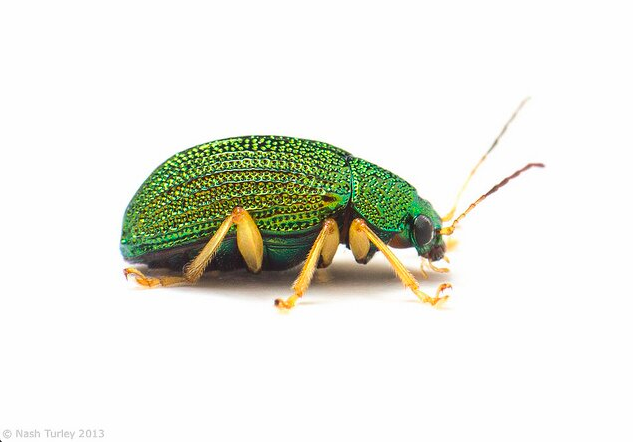 Bug Girl is now posting over at Wired Science… “Charismatic Minifauna“. Worth a follow! Tweet of the week goes to … Erin McKiernan. This is awesome. Don’t worry: My neighbours think I’m crazy too. I’ve been caught running up and down the street with a sweep net. Science reporter spoofs hundreds of Open Access journals with fake papers. Um, fix all your lectures, people: new fossils push the origin of plants back 100 million years. Underdogs: the them of a new Malcolm Cladwell book. Here’ s nifty interview with the author. So many reasons to love Patrick Stewart. However, here’s another one. Communicate this: Science has a special issue devoted to communication in science. Why are there still so few women in Academia. An excellent piece. XKCD has a good one: Penumbra. I learned something new. Hobbit fans! Some never-before-seen art by Tolkien. Robotic jungle – a wired woodland.